Anyone who’s had a chance to visit Australia will tell you that it’s almost impossible to feel stressed in the Land Down Under. 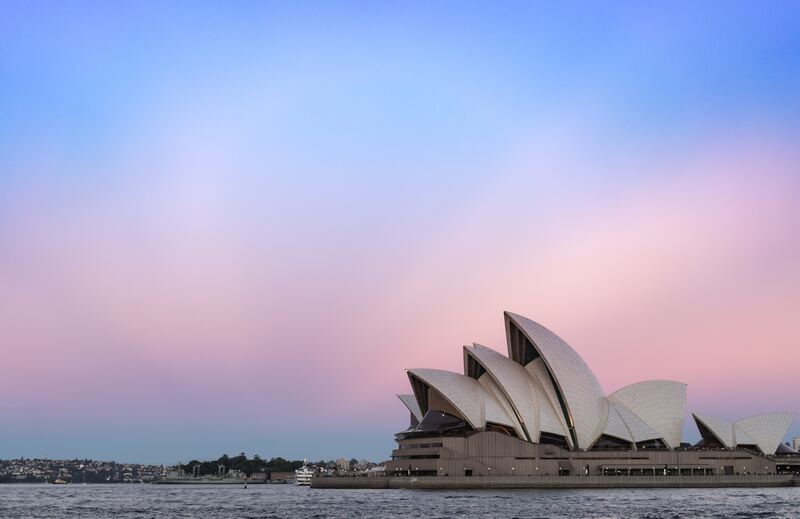 If you’ve ever wondered why Aussies are so easy-going and always up for a good time, here are just some of the many reasons why Australia would be perfect for a stress-free vacation. Job security, strong health care and education systems, enviable living standards, and high life expectancy are just some of the major reasons why Australia’s rated as one of the top ten happiest countries in the world. But that’s not all! Another factor that plays an important role here are the famously relaxed natives. When you hear Aussies say ‘No worries’, know that they really mean it. Australians are known for their laid-back lifestyle, friendly hospitality, and a permanent ‘glass half full’ approach. And the best thing about this infectious attitude is that it will start rubbing off on you as soon as you touch down. Endless sandy beaches are probably one of the first things that come to your mind when you think of Australia – and for a good reason too. Its stunning coastline stretches over 30,000 km and is home to more than 10,000 spectacular beaches. Visiting some of its world-renowned beaches such as Sydney’s Bondi Beach, Whitehaven Beach in Queensland, Turquoise Bay in Western Australia, and Wineglass Bay in Tasmania, is pretty much the closest you’ll get to Heaven on Earth. It’s no exaggeration to say that it’s physically impossible to feel stressed lounging on one of Australia’s iconic beaches as you soak up the sunshine and feast your eyes on the most stunning shade of blue stretching into infinity before you. Australia’s beaches are so irresistible that countless couples from round the world decide to mark their biggest moments there, such as tying the knot. This is made even more convenient for them in Australia thanks to the availability of excellent wedding planners like Northern Beaches Weddings & Events, who make sure these couples experience nothing but bliss. Isolated from the rest of the world for millennia and exposed to a unique combination of natural elements, the Australian landscape is something else. Just some of the breathtaking natural wonders of Australia are the Great Barrier Reef, the largest coral reef system in the world, Shark Bay, one of the most unique looking places in the world, Uluru, a sacred site of indigenous Australians, The Pinnacles, and the awe-inspiring Mackenzie Falls. Geographic isolation and the influence of varying climate change cycles have not only shaped the Australian landscape but also given rise to one-of-a-kind habitat that supports rich wildlife. Over 80% of mammals, 90% of fish and insects, and 93% of amphibians are endemic Australia, which means you can’t find them anywhere else in the world. Some of the most unique-looking creatures you’ll find in Australia are the Koala bear, Tasmanian devil, platypus, wombat, bilby, laughing kookaburra, sugar glider, and echidna. This country’s also home to some of the most dangerous animals in the world, such as the saltwater crocodile, Eastern brown snake, bull shark, box jellyfish, blue-ringed octopus, and Sydney funnel web spider. The Outback, the most remote part of inland Australia, is every adventure-lover’s dream come true. The Outback is home to a number of animal species, including the kangaroo, emu, and dingo and is also one of the most famous fossil sites in the world, showing the unique evolution of Australia’s wildlife. Not only does this arid landscape possess surprisingly rich ecosystems, but it also offers a range of exciting activities. These include kayaking through the Katherine Gorge surrounded by billion-year-old sandstone rocks, and sleeping underground in Coober Pedy, visiting the ancient rock art galleries in the Kakadu National Park, enjoying a sunset dinner on a platform overlooking the 600 million years old Uluru monolith, taking a unique train ride on the luxury Ghan train, and driving across the Eyre Highway, Australia’s longest and straightest road. There you have it! Ridiculously friendly locals, stunning beaches, unique fauna, and endless opportunities for adventure make Australia an ideal place to visit and let go of your worries. Daria Winters is a music/literature/travel addict and a firm believer in kindness and beauty. She’s currently living in Europe, but the road may easily take her somewhere else. Her goal is to one day become a well-known writer and blogger on lifestyle, health… and travel adventures!